Navigating Japan’s meat-packed menus can be difficult as a vegetarian. As meat-free diets become increasingly popular in the Western world, restaurants are quickly following suit to provide options and cater to all sorts of requirements. However, Japan is a little bit behind in this department - there still isn’t a complete understanding of vegetarianism, and a lot of vegetable dishes will still include seafood or meat-based broths. 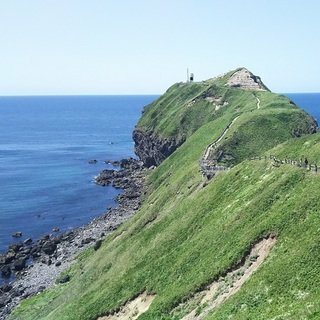 Avoiding meat altogether in Japan is challenging, but not impossible! Luckily Niseko has a huge international influence - so whether you’re plant-based by principal, for health, or just trying to cut down on meat; we’ve compiled the ultimate list of vego eats in the Niseko area for your animal-free needs. Got a craving for Mexican without the meat? 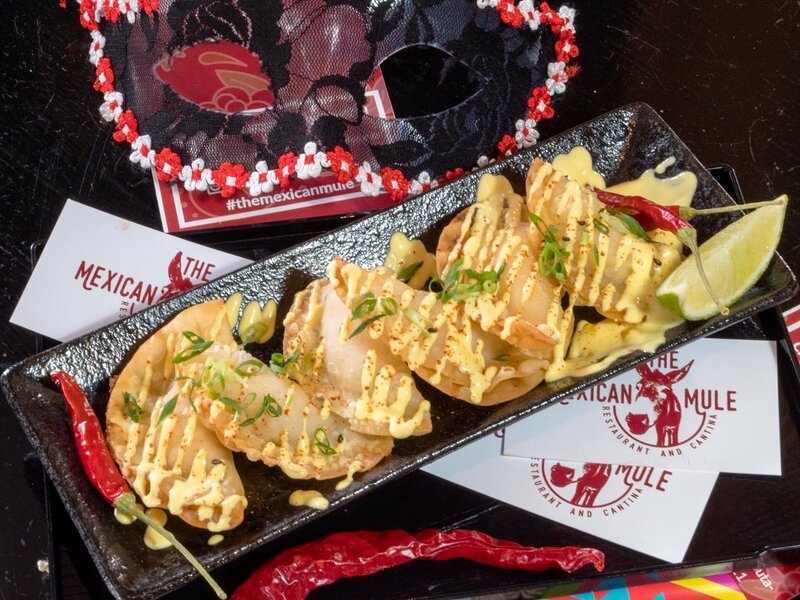 The Mexican Mule has got your back, offering vego nachos, burritos, enchiladas and more! This is the perfect place to grab some lunch with your omnivore friends as the menu is stacked with vegetarian options; we promise you won’t be dipper-pointed with the tempeh dippers. 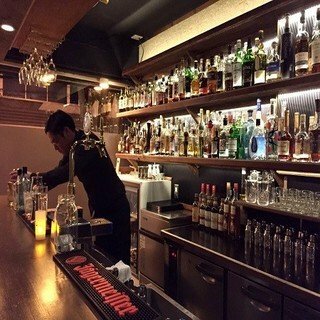 This snug little pub has a traditional Japanese izakaya vibe but you can still eat here guilt-free. Ren's dinner menu is where the vegetarian options really shine - inform the staff that you are vegetarian or vegan and they will provide you with a special menu. Recommendations are the burdock chips, tofu hot pot and grilled tofu with cheese. おいしい! Looking for a breakfast option that doesn't add bacon to every menu item? 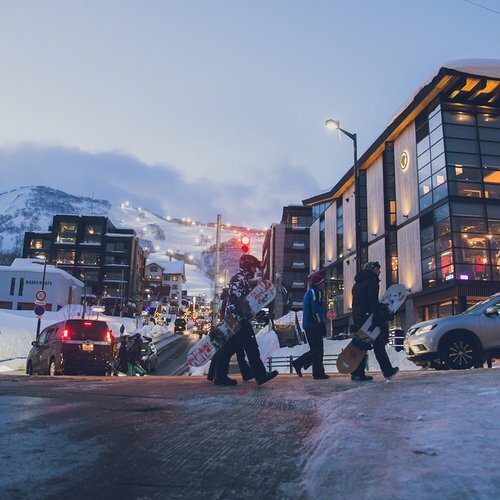 After a satisfying vego brunch to regather your energy between hitting the slopes? 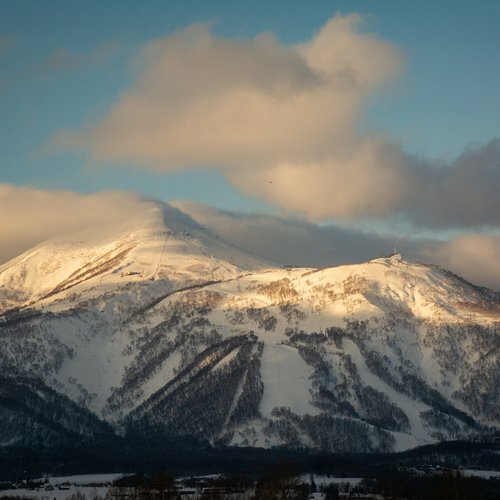 Head into Green Farm Cafe, recently moved into the conveniently located Shiki Niseko building in the middle of town. Get stuck into the cafe-style vegetarian and vegan breakfast options, or stop by for lunch for a delicious burger, vegan stir-fry or even a vegetable pie. You can't go past a good, vego pizza. 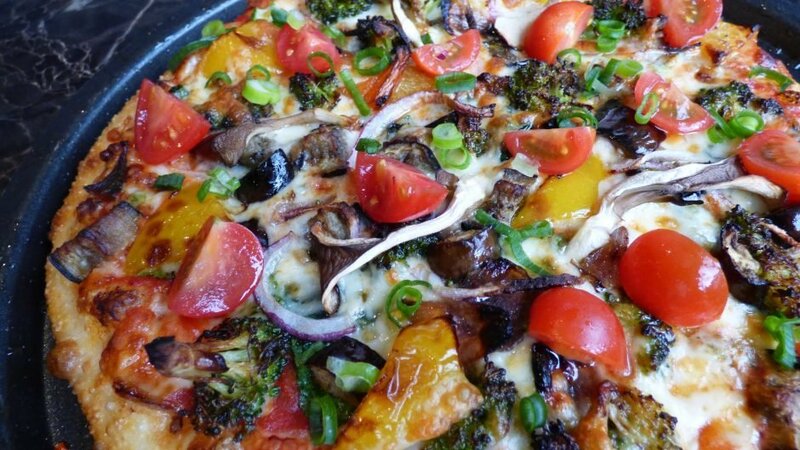 Lava Lounge has several tasty options for all the veggie-lovers out there, and you can even get in on their happy hour deal of 2 medium classic pizzas for the bargain price of 2,500 JPY between 5-6pm every night (that's only 1,250 JPY a pizza!). Add on a cheesy pesto garlic bread to complete the ultimate comfy night-in dinner - Lava Lounge delivers so you don't even have to get off your couch. 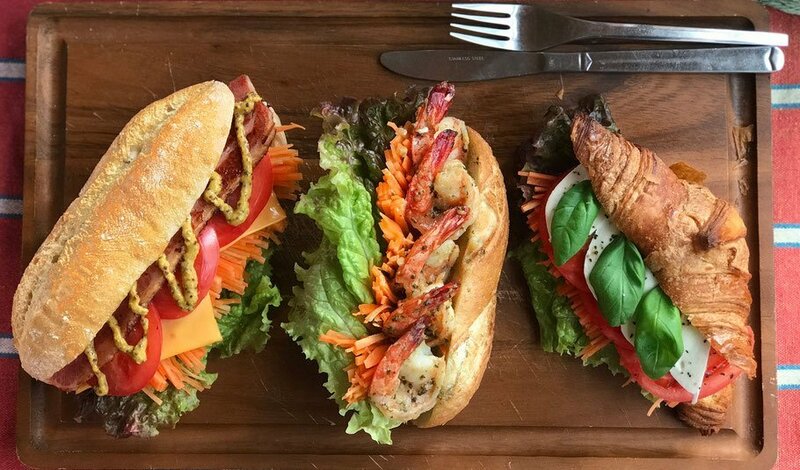 Run by the lovely team behind Yummy's Pizza in Hirafu, Anyway is a little bit like Subway - you can choose from three types of bread (ciabatta, baguette or croissant) and add toppings to build your perfect sandwich. Bring out your healthy side with your base sandwich choice of the Tomoba sandwich or the Vegetable sandwich. If you're vegan, you can ask for your sandwich without mayo. 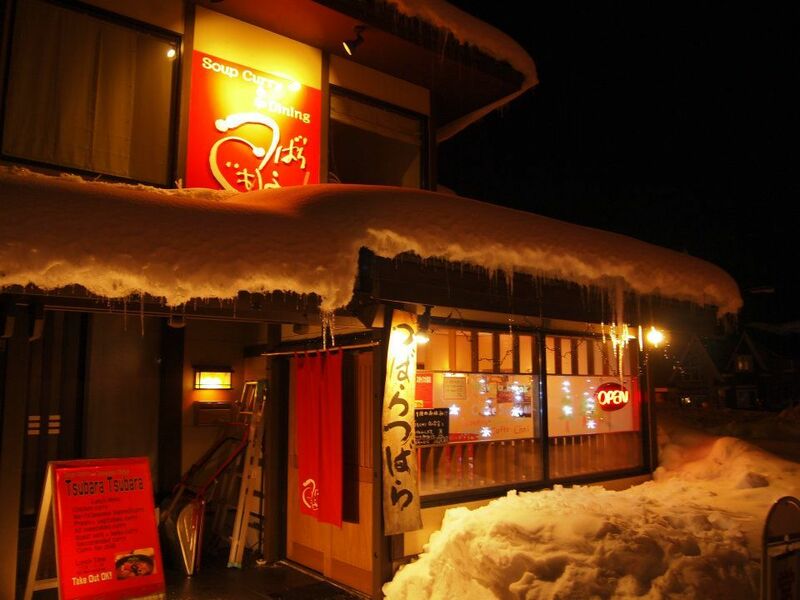 Warm up after a snowy day with the local specialty of "soup curry" from Tsubara Tsubara. Exactly as the name suggests, soup curry is flavor-packed soup broth using curry spices, originating in Sapporo. 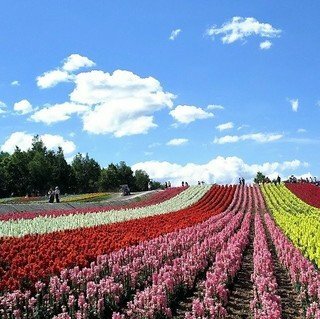 It's a must try while you're in Hokkaido! The vegetable curry comes packed full of tasty, colourful veggies but you can also add all the extra toppings you desire for a small price, such as lotus root, burdock or boiled egg. They also have an a-la-carte menu with a few veggie options. 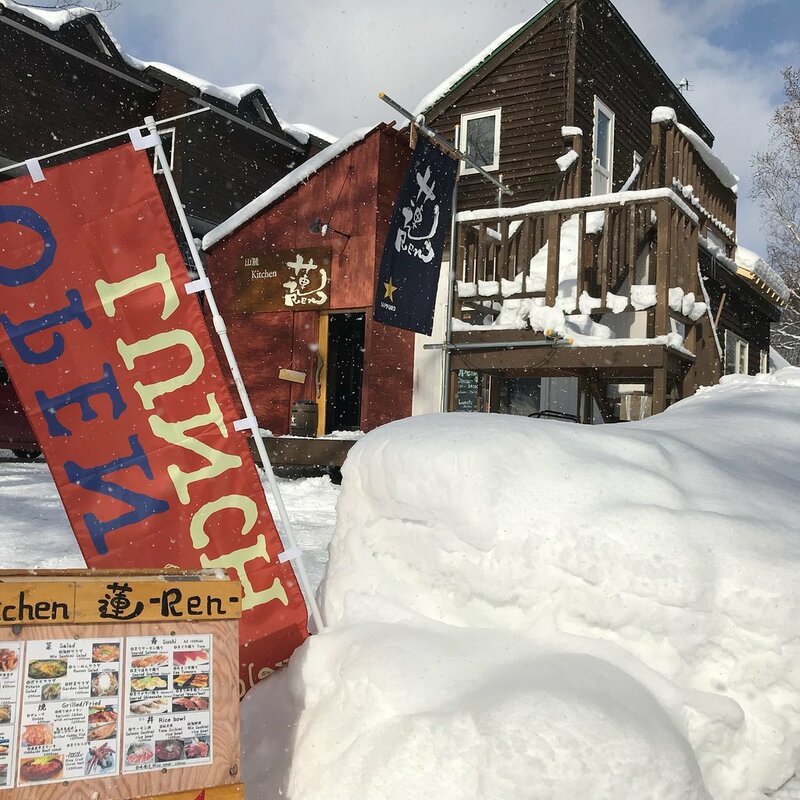 Tucked away in Izumikyo, Tsubara Tsubara is the most popular soup curry restaurant in Niseko with locals constantly coming back again and again to get their fill, so it's definitely worth booking ahead during peak periods. 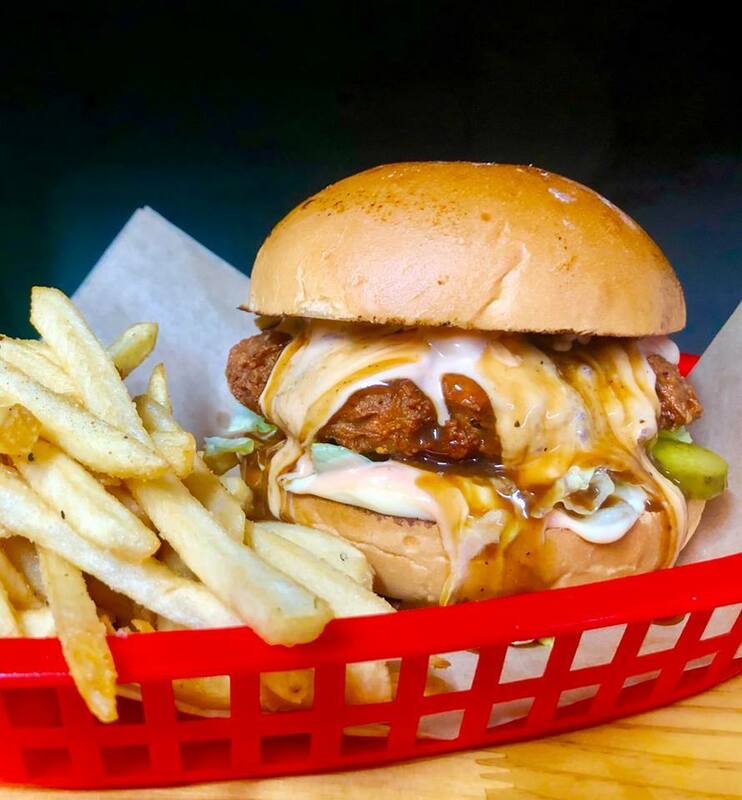 If you’re keen on some classic American-style chow, be sure to grab a hearty, vegan seitan burger or vegan loaded fries from Bigfoot Bunker that’ll leave you in a food coma you won’t want to wake up from. Keep an eye out on the daily specials, as every now and then you can snag a unique limited burger for that day, such as the KFC-style southern bell burger (pictured below - yes, it's totally vegan!). 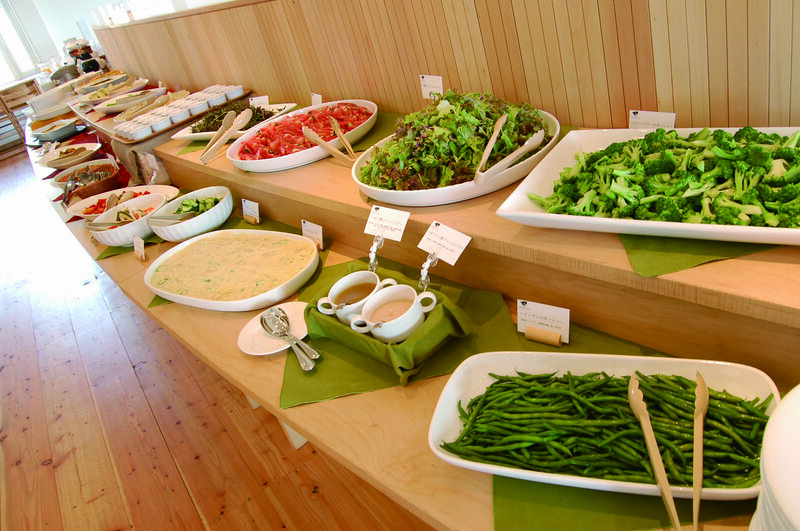 If you have the chance to visit Niseko Village, be sure to stop in for the lunchtime vegetable buffet at Prativo. 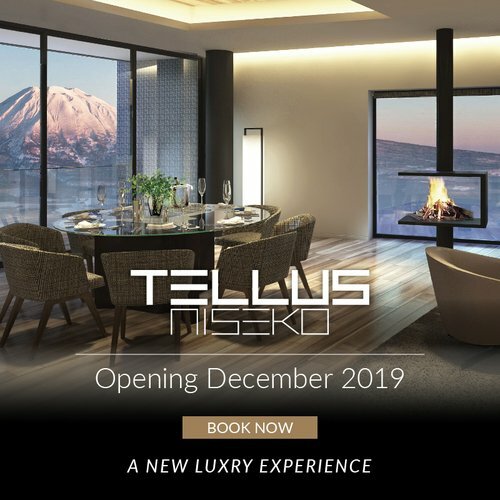 Run by the Niseko Takahashi Dairy Farm, Prativo prides itself on offering farm-to-table locally-sourced ingredients in their dishes. Come for the food, and stay for the view - this restaurant features a stunning view of Yotei-zan to complement your meal! 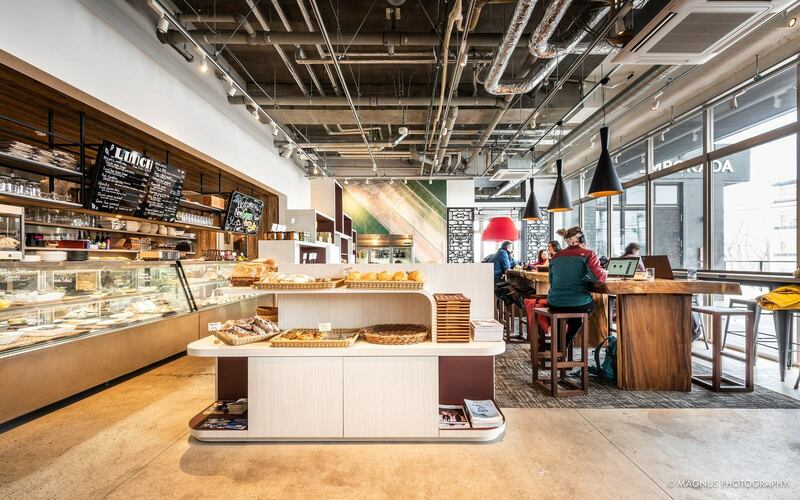 If you're okay with eating dairy, be sure pop next door to Prativo's sister cafe - Milk Kobo - for a little after-lunch treat of delicious, creamy desserts. You can always rely on an Indian restaurant to provide the lacto-vegetarian goods, and Bombay Sizzlers is no exception. Veggies lovers are spoiled by an entirely vegetarian and vegan menu, dishing up a wide selection of delicious vege-packed curries. 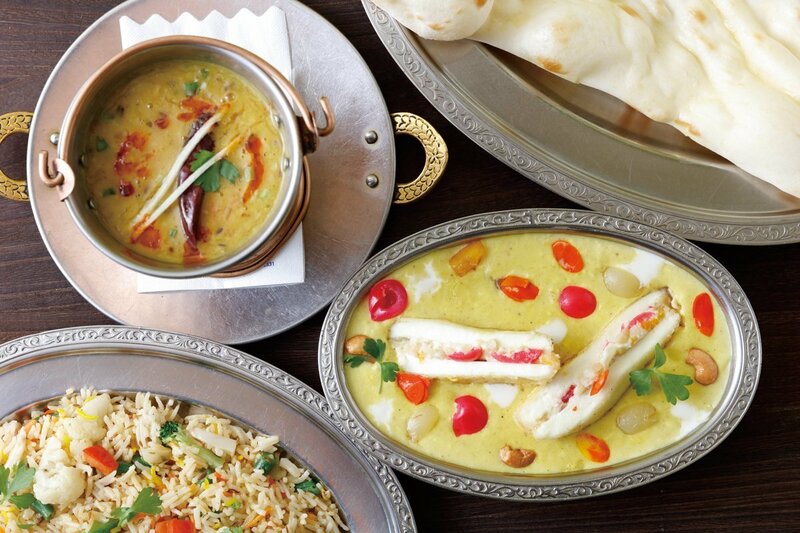 The kitchen is run by experienced chefs from India, so you can expect the fare to be authentic. 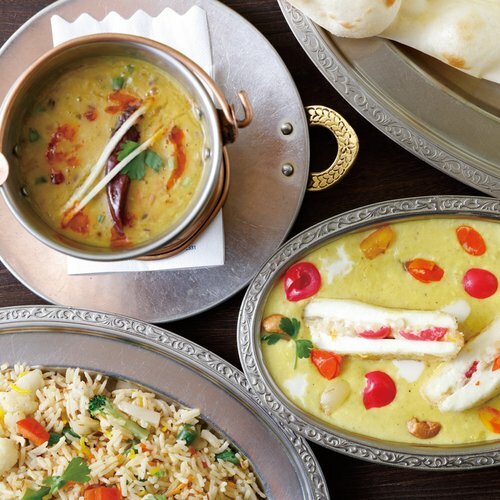 Grab an amazing deal with the lunch set menu where you can choose from a couple of vegetarian main dishes, rice, salad and GIANT piping hot naan (substitute the naan for extra rice if you don't do dairy) all for 1500 JPY (plus tax).